Welcome to a new series of book reviews, brought to you by the Melbourne Modern Quilt Guild. With the explosion of interest and flurry of activity in modern quilting has come an enormous array of new books full of guidance, technique and importantly, new patterns. The Guild wants to explore these books, and what better place to start than with By the Bundle, by our very own Emma Jean Jansen. 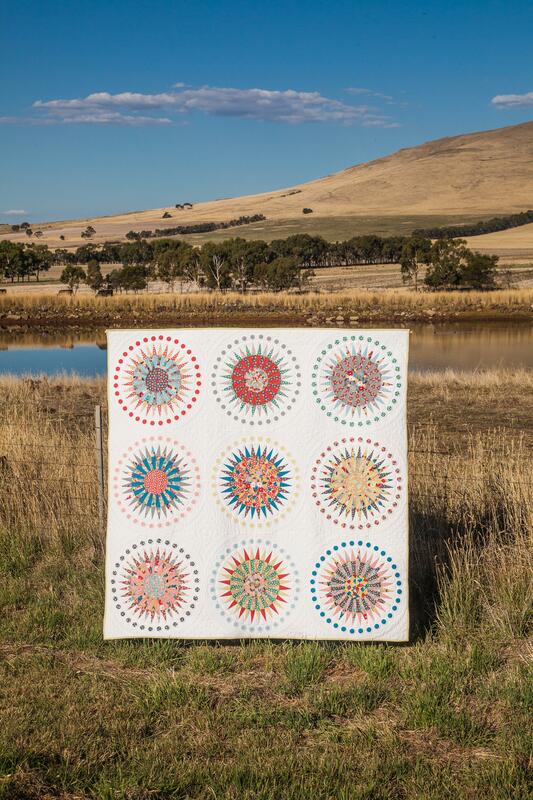 Emma Jean has a long standing reputation as one of Australia’s finest modern quilters. She’s done it all, from owning a quilting store, to teaching, to pattern writing, to fabric design. Of course, the next step was a book, and By the Bundle is a beauty. It’s premised on the idea that so many of us buy fat quarter bundles, delighted by the collated and coordinated work of a fabric designer, but then we get home and we’re crippled with indecision. What should you make with this colourful bundle of soft fabric fun? 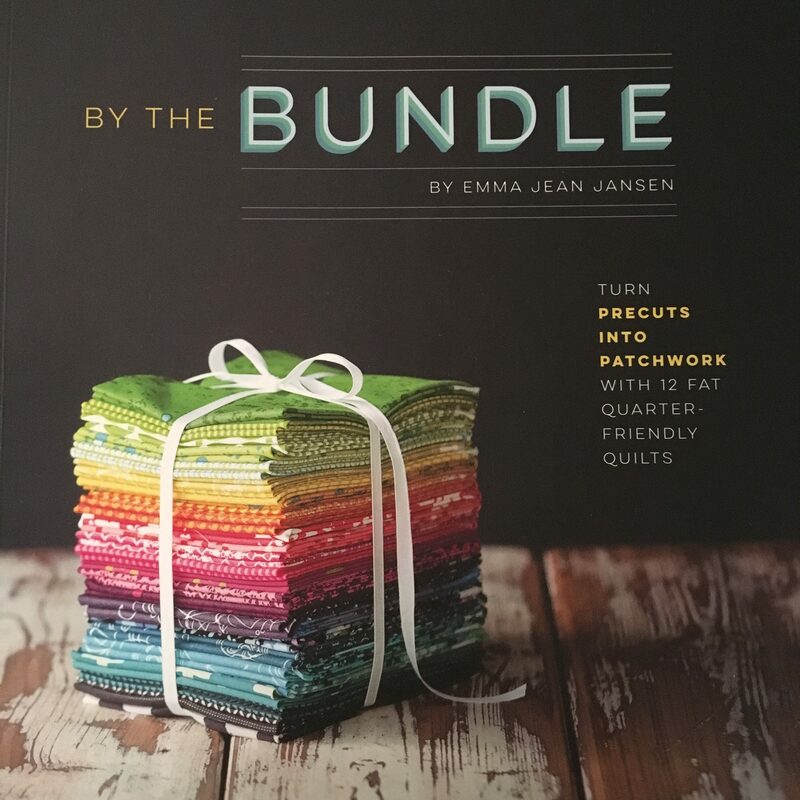 What pattern is worthy enough of cutting into what is, at least here in Australia, a considerable investment.By the Bundle is Emma Jean’s answer to that question. She presents 12 new quilt patterns, all of them using fat quarter bundles, either one whole fabric line or a bundle curated from her stash. There’s a project for every skill level. For the beginner setting out of her first big patchwork project, she might like to try the simple “Hi Quilt” or the “Diamonds and Squares” quilt. 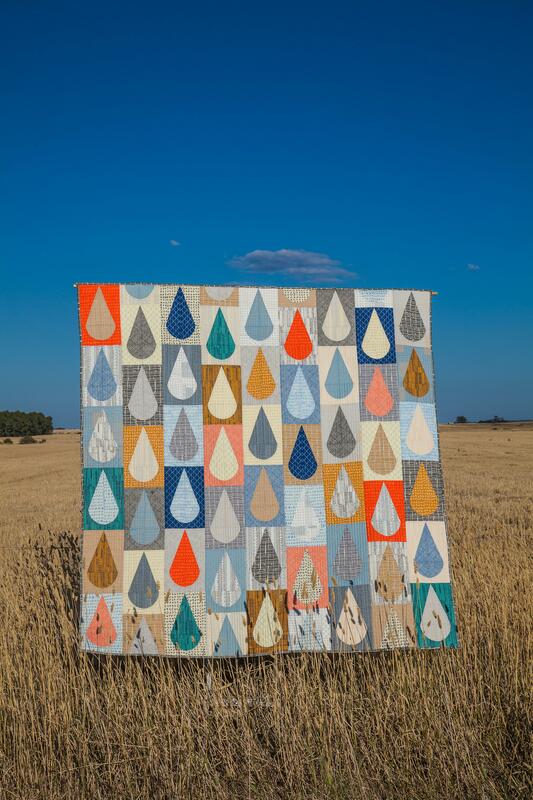 Our more advanced friends will surely be tempted by the “Star Burst” quilt, a pattern featuring Jen Kingwell’s first fabric line, Gardenvale. As for your correspondent, dear reader, she has been hoarding a bundle of Mendocino by Heather Ross that will be perfect for the “Butterflies” quilt for her daughter, and a bundle of Doe by Carolyn Friedlander that will work beautifully for the “Hi Quilt” for her son. Photo Credit: Image by Jade Smithard, courtesy Emma Jean Jansen. A complete novice may find she needs to refer to other sources for a more comprehensive set of how-to instructions, but Emma Jean does include some very good tips and tricks for cutting, sewing, pressing, basting, quilting and binding a quilt. She also includes, in the “Star Burst” pattern, a very helpful guide for foundation paper piecing with freezer paper, an arguably superior foundation piecing method. The photography, by Jade Smithard, is lovely. 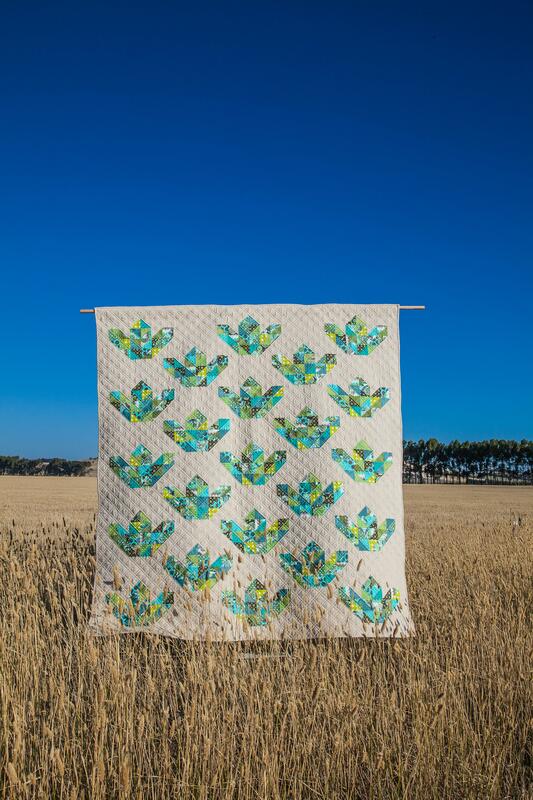 The imagery is beautifully Australia and shows Emma Jean’s quilts as both artful and functional. If I have one complaint, the notable typos in the names of one or two of the photo shoot locations would be it. For more from Emma Jean, you can follow her on Facebook and Instagram. For more from the Melbourne Modern Quilt Guild, you can follow us on Instagram. Finally! A quilting book review that tells me exactly what I want to know when considearing adding to my library resources. Thank you.